For the last decade or so, the State of Tennessee has adopted a “zero tolerance” policy regarding the following offenses: possessing and/or using drugs, possessing a firearm, and the more complicated charge of battery of staff. The state also requires that bullying fall under the zero-tolerance policy. While every school district may have different disciplinary policies, these three are state mandated, making charges of them all the more serious. At the Law Office of Perry A. Craft, PLLC, in Nashville, we fight to protect students accused of breaking the zero-tolerance policy implemented in their school, as well as any other alleged disciplinary infractions. We know that the laws can be difficult to understand, even for people who work for the school district. That is why we fight on behalf of students in and around Nashville – to ensure that they continue to have educational opportunities and a chance for a brighter future. Assaults or threatens to assault a teacher, student or other person. Furthermore, “each school district shall adopt a policy prohibiting harassment, intimidation, bullying or cyber-bullying.” The schools must publicize this policy, and must indicate that this policy is in strict enforcement during school-sponsored activities. In cases of drug or firearm possession, the law is generally the same wherever you go in Tennessee. Battery of staff, however, is a rather vague term. May have been an act of self-defense in the face of provocation by another student. 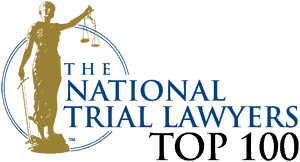 Being disciplined for breaking the zero-tolerance policy can have long-lasting effects on your child, so it is imperative that you see the help of a skilled Nashville education law and criminal defense attorney like Perry Craft immediately. Tennessee takes its zero tolerance policies very seriously – and so do colleges. Without help, your child could face an uphill battle to obtain an education. To speak with an experienced Nashville education lawyer about your case, please call the Law Office of Perry A. Craft, PLLC at 615.239.1899 or fill out our convenient contact form.